Dave Chappelle On Comedy And Politics In The Age Of President Trump : The Record Preparing for a month-long residency at Radio City Music Hall, Chappelle talks about growing up in D.C. and his decision to host the first SNL after the presidential election. Dave Chappelle begins a month long residency at Radio City Music Hall in August. 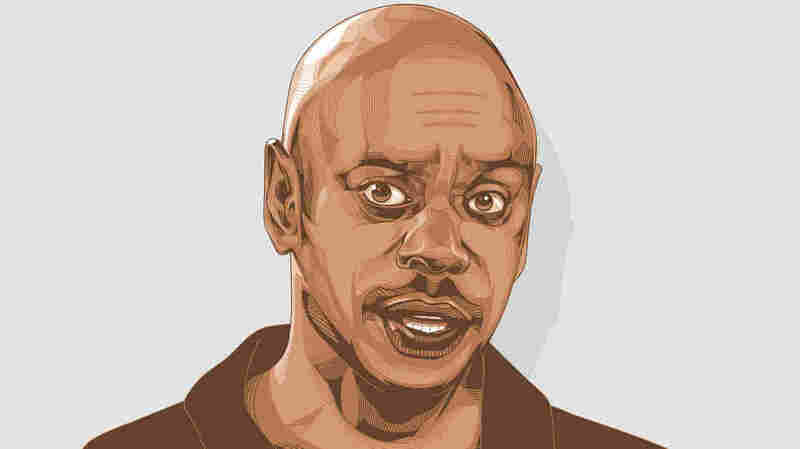 There's no bigger name in comedy today than Dave Chappelle. At only 14 years old he started performing stand up in Washington, D.C., and since then, he's starred in cult classic Hollywood films, created one of the most beloved sketch comedy shows of all time, Chappelle's Show, and released some of the most widely watched comedy specials ever. He was also behind one of the biggest moments in underground hip-hop this century, a day-long concert documented in the film Dave Chappelle's Block Party. Now, approaching his 30th anniversary in stand up comedy, he's preparing for a month-long residency at Radio City Music Hall. 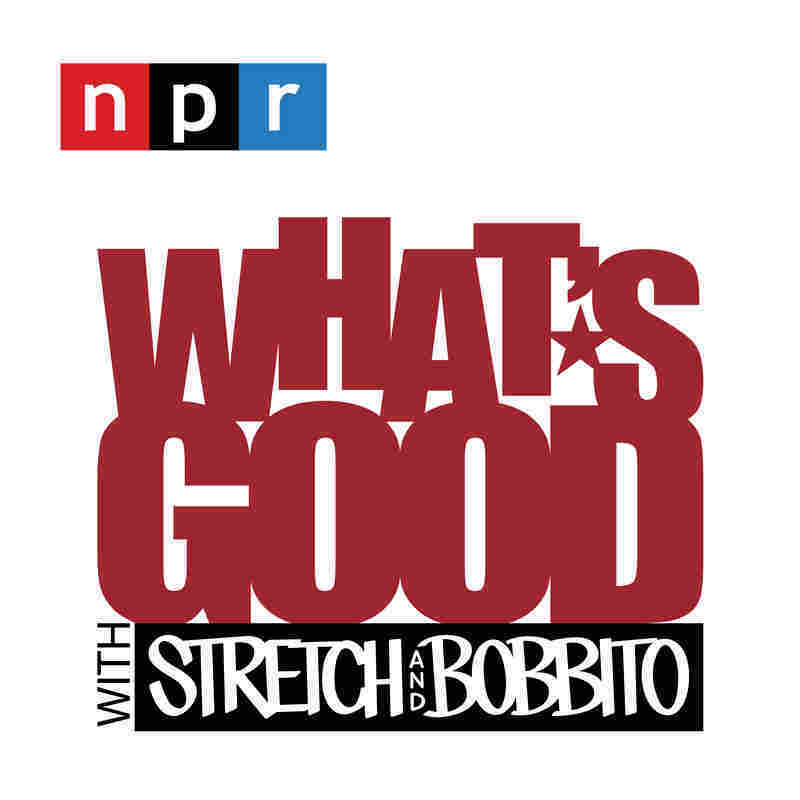 All of this makes him a perfect person to help launch NPR's new podcast, What's Good With Stretch And Bobbito. The hosts established their radio credentials by laying a foundation for 1990's hip-hop at a college station in New York City, and Chappelle's cred in the hip-hop world runs deep. His TV shows, movies and now his Radio City Music Hall performances include a talented pool of hip-hop artists on the the bill. But the conversation on What's Good is about more than hip-hop. It's a conversation between old friends: Rawlings and Chappelle talk about their days coming up in the nation's capitol, their favorite Chappelle's show skit, and what it's like to perform at a venue as big as Radio City Music Hall. "Something like this can't happen unless a lot of very significant people put their egos aside," he says. "Radio City is what they call a 'vanity gig.' It's not the kind of show you'll do to get rich, and it's not easy real estate to get. These times in my career are priceless." Chappelle also talks about his first job ever, and how it got him used to working. "I used to be an usher at Ford's Theatre, where Lincoln got shot," he says. "I quit like Chappelle's Show. I just stopped going." The conversation also touches on what it was like to perform on Saturday Night Live right after the election, and why he took the gig in the first place. "Lorne Michaels put a heavy pitch on me and I ended up doing it," he says. "I was pretty sure that Trump was going to win. In hindsight, I think that Lorne knew that Trump was going to win because he was real adamant about doing the first slot after the election." Also inside: Stretch shares a story from the SNL afterparty that he DJed after Chappelle hosted and the show wraps up with some musical selections from our hosts. Plus, there's a surprise visit from one of Chappelle's favorite musicians.